PEARL’s new report, “Delayed or Denied? 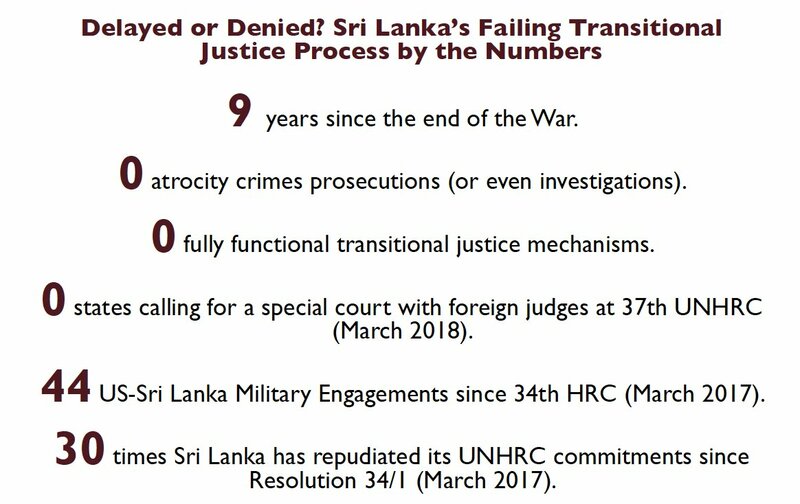 Sri Lanka’s Failing Transitional Justice Process”documents Sri Lanka’s failure to fulfill its transitional justice commitments and the complacency with which its intransigence has been received by members of the international community. Sri Lankan officials have publicly repudiated their promises on at least 30 occasions in the last year alone. Nevertheless, members of the international community continue to treat Sri Lanka as a good faith actor, ignoring glaring red flags that it is unwilling to pursue a meaningful accountability process. 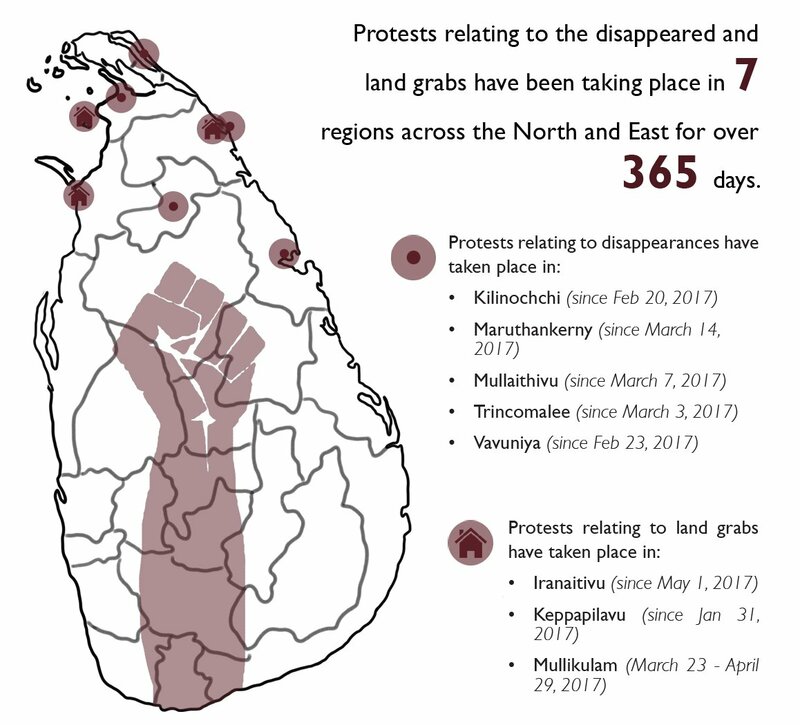 PEARL’s interviews with the victim-survivor community show that they are growing frustrated with the international community’s lenience towards Sri Lanka’s endless delays and broken promises and are increasingly willing to mobilize in defense of their rights. See full report here and at PEARL-TJ-Report-Final. in defense of their rights. Filed under Diaspora, Human Rights, Military, Politics.